Kampala, 3 May 2018:- The Government of Uganda is conducting a campaign to vaccinate more than 360 000 people against cholera in six hotspot areas of Hoima district with support from the World Health Organization (WHO) and partners. 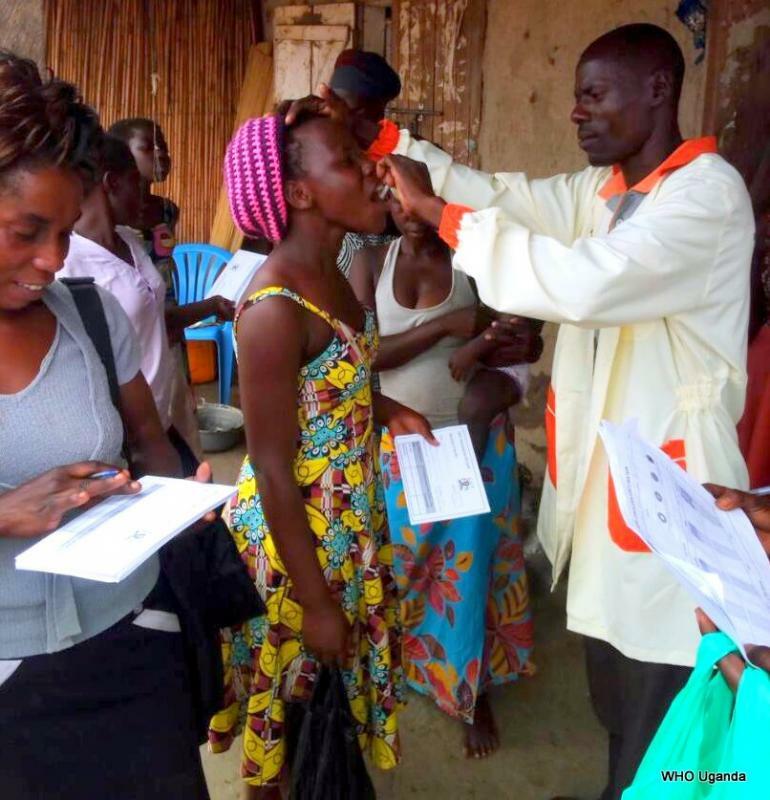 The immunization drive is part of efforts to control an ongoing cholera outbreak which has affected both refugees from the Democratic Republic of Congo and host populations and will use vaccines dispatched from the GAVI-funded global stockpile. The cholera outbreak in Hoima was officially declared on 23rd February 2018 by the Ministry of Health and as of 29th April 2018, there were a cumulative total of 2 119 suspected and confirmed cases with 44 reported deaths. 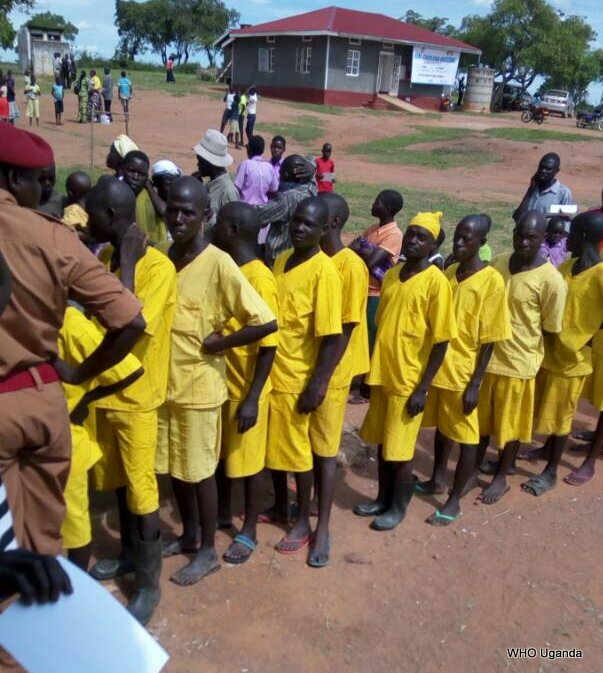 The six hot spots in Hoima district for the outbreak were Kyangwali, Kigorobya Kabwoya and Buseruka sub-counties, Kigorobya Town council and Kyangwali refugee settlement. In these places, high-risk groups include children, mobile populations particularly living in fishing communities and border communities close to the Democratic Republic of Congo (DRC). Everyone living in the targeted areas who are aged one year and above, including pregnant women, will have access to the cholera vaccination campaign. Two rounds of vaccination are planned in Hoima district. The first round started on 2 May 2018 and will end on 6 May 2018 and the second round will be from 6th to 10th June 2018. Both static sites and mobile teams are being used to reach all eligible people. Community mobilization for the uptake of the vaccine, transportation, training and administering of the vaccine is also being heavily supported by WHO, UNICEF, UNHCR, Médecins Sans Frontières (MSF) and other local and international partners. The OCV campaign has also offered an opportunity to strengthen the delivery of interventions such as the provision of safe drinking water, promotion of good hygiene and sanitation and health education with a special focus on the hotspots. Active surveillance, treatment of cholera patients and other cholera prevention measures have been reinforced in the district. WHO recommends that vaccination against cholera be considered in emergencies and other high-risk scenarios where there are increased threats of outbreaks when combined with standard prevention and control measures for the disease.